Every now and then, there comes a gaming app that keeps players hooked onto it for endless hours due to the engagement that it offers. But perhaps no gaming app has had the kind of rapid adoption that Player Unknown’s Battlegrounds, popularly known as PUBG, has had in recent times. Released in December 2017, PUBG was initially restricted to die-hard gamers but has since become a huge hit among all age groups after a free mobile phone version was released in March 2018. From college students to working professionals and even housewives, the game is finding its way onto the smartphones of users from all walks of life. People can be seen absorbed in their smartphones, trying to collect weapons and protect their characters, while killing their opponents. In fact, some dedicated players are spending a large amount of playing the game and trying to gain a competitive advantage over their opponents. However, despite the success that this multiplayer game has achieved, its darker side has raised alarms in both India and China for badly affecting the lives of its players. Extreme violence: Just like any other combat-based video game, PUBG also features excessive violence that can lead to impatience –as well as destructive emotions, thoughts and behavior –amongst its players, ultimately making them less compassionate. Fearing its effects on mental health, the Chinese government has banned this game in the country while, in India, the voices calling out for banning this game have been gaining strength. Video game addiction: “No Work? Play PUBG. Have work? Still playing PUBG” – apparently, this has been the routine of every PUBG player, which means they are doing nothing productive during this time. While addiction to video games is not new, PUBG’s convenient accessibility through mobile devices lures people into wasting their precious time. The sense of achievement it inculcates through fake high scores are actually affecting several areas of life, such as education, mental health (in the form of depression, stress & anxiety), interpersonal relationships and so on. Physical health issues: A single game of PUBG can take up to half an hour to get over and the addictive nature of multiplayer third-person combat means that PUBG players can never stop on a single match. As a result, they end up compromising on their sleep. While watching the mobile screens for long hours can affect the eyesight, lack of sleep and prolonged periods of sitting at one place can also result in backaches and increased risk of cardiovascular diseases, diabetes, high blood pressure and high cholesterol. 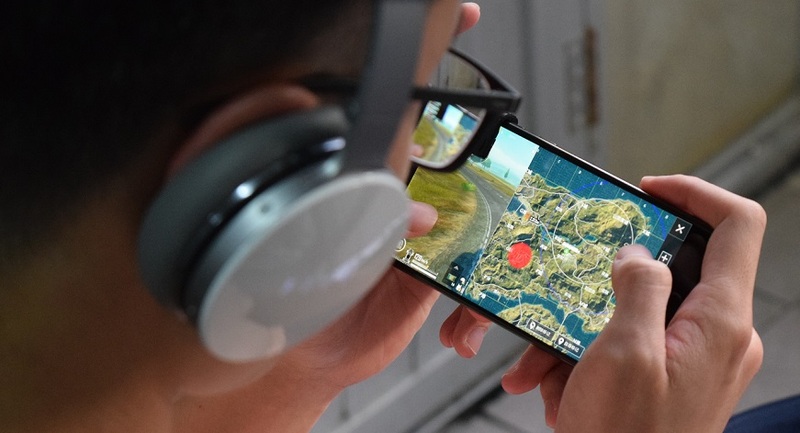 It has been more than a year now since the video game has gone viral and, like any other games, PUBG Mobile has also gathered a lot of criticism and negativity on the Internet over the severe addiction it is causing among its players – often with fatal results. For example, a fitness trainer in Jammu was hospitalized after he started hitting himself while playing PUBG and underwent trauma. An 18-year-old boy from Mumbai attempted suicide after his parents refused to buy him a premium phone for playing PUBG. Meanwhile, a man in Malaysia reportedly left his four-month-pregnant wife and child so that he could play PUBG without any interference, while a teenager in Madhya Pradesh accidentally drank acid while playing the game. While such dangerous addictions are tough to cure, they can be avoided if the signs and symptoms can be noticed at an early stage. The PUBG addiction can be tracked in three ways: physical, behavioral and cognitive symptoms. Physically, players addicted to the game may frequently experience fatigue, migraine, and eye strain (due to intense concentration), and typically have a lower sense of personal hygiene than non-gamers. On the behavioral front, individuals may feel irritation or restlessness when trying to stop the game, or when forced to stay away from the game for long hours. Cognitively, players may start feeling disturbances like preoccupation with thoughts of earlier online activity or anticipation of the next online session. For them, gaming becomes an escape from any life situation. In an alarming report, 120 cases of “Mental Health Condition” were reported by the National Institute of Mental Health and Neuro Sciences (NIMHANS) within 3 months due to PUBG addiction. In fact, the World Health Organisation declared compulsively playing video games a mental health condition in 2018. The battle royal game has already been banned by various government agencies and educational institutions, both in India and internationally. For example, the Gujarat government recently issued a notice to all primary schools to ban children from playing PUBG. The Vellore Institute of Technology (VIT) has also banned PUBG. Moreover, recently, Prime Minister Narendra Modi also recognized the issue of PUBG addiction in the country at an event called Parkisha Pe Charcha 2.0 and deliberated on ways in which parents could deal with it. PUBG is not the first game to make addicts out of gamers. Games like Counter Strike and Fortnite have previously had similar effects on players. While there isn’t any quick fix to this, the treatment demands time and patience. However, as with most other addictions, the addiction to such online video games is best prevented. Parents today expose their children to gadgets too soon in the form of mobile phones, tabs, etc. While it is okay to do so, there is always a critical need to ensure supervision with such tech exposure. Parents must ensure that, before buying any video game or downloading games on the internet for their kids, the age limit and content warnings provided with it are thoroughly checked. They must also ensure that they do not lose track of time while playing games by keeping the engagement restricted. Parents must also motivate their kids to make other physical activities or outdoor sports an integral part of their life. Engaging children in outdoor games and indoor activities are important as it will help them improve their physical, emotional, social and mental health. Children who are proactive at a young age tend to become more productive and well-rounded adults in the future. Hence it is essential to expose children to real-life situations and give them the opportunity to explore the outdoors, engage in fun learning activities and play with other kids. Even as the popularity of PUBG in the country is reaching alarming proportions due to an unhealthy obsession among smartphone gamers, a ban on the game may not bring the situation entirely under control. Instead, the focus should be more on spreading awareness about the smart and mindful use of technology that does not promote addiction to any online games. Vivek Oberoi slams Bollywood: Posting selfies with PM Narendra Modi is easy. Why not support our film?